Established over 4 years ago we utilise over 20 years of retail motor industry experience, with time spent within volume, prestige and luxury brands including Vauxhall, BMW and latterly Jaguar franchises. Moorgate Motor Company owner, Tim Hudson, takes great pride in a professional and courteous approach to delivering excellent customer service. We operate from an indoor showroom located just 5 minutes from Junctions 33 or 34 of the M1, near Meadowhall and Sheffield, specialising in quality second hand vehicles, including Sports, Prestige, Luxury and 4×4 models across all marques. Our cars are carefully selected from a range of reliable and trusted sources, then undergoing a comprehensive multipoint check before being fully valeted and supplied with a 3 month warranty and 12 months AA breakdown cover. All of our cars are HPI checked prior to purchase and supplied with the relevant certificate. READY TO DRIVE AWAY – – All of our cars are fully prepared prior to sale, so each and every car is able to be driven away, if required, on the same visit. PRICE CHECK – – All our cars are regularly price checked so you can ensure that your next purchase is amongst the best value in the country. VIEWING BY APPOINTMENT – – All of our viewings are by appointment, to ensure we can dedicate all the time you need to view and test drive our cars. We can be very flexible with viewing times to suit you, the customer, so please either call directly on 01709 296290, 07713 322669 or complete the CONTACT US section where you are assured of a prompt and professional response. 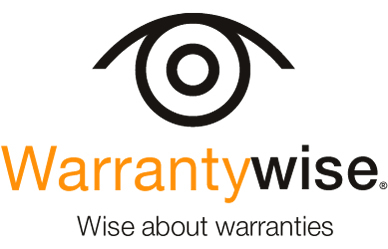 WARRANTY – – All of our vehicles are supplied with a free 3 month warranty, we also offer 6 and 12 month extended warranty cover supplied by WARRANTYWISE, offering industry leading cover and incredible value. FINANCE – – We are authorised by the FCA to provide the full range of finance packages to suit your requirements with competitive terms available (from 5.5% flat rate) and have partnered with Close Motor Finance to provide the full range of finance options. So, why not let us help you fund your next purchase where from a decision to driveaway can take as little as 30 minutes! AA BREAKDOWN COVER – – All of our cars are supplied with 12 Months breakdown cover provided by the AA, the worlds largest motoring organisation. PART EXCHANGE — We are happy to look at any vehicle in part exchange and are able to give great part exchange deals. 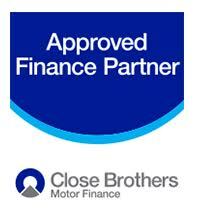 Moorgate Motor Company Ltd are a credit broker and not a lender. We are Authorised and Regulated by the Financial Conduct Authority. FCA No: 800830 Finance is Subject to status. Other offers may be available but cannot be used in conjunction with this offer. We work with a number of carefully selected credit providers who may be able to offer you finance for your purchase.